Flowering - February - April. Habitat - Sandhills, pine barrens, flatwoods. Other information - This small species can be found in the southern 1/3 of Alabama. 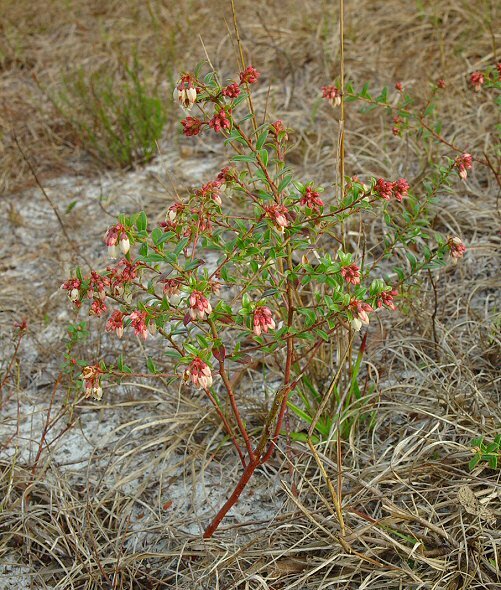 The plant is a small shrub that grows to about 60cm tall. 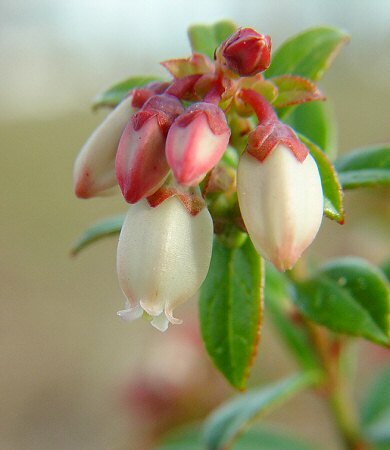 This species can be partially identified by its small size, white flowers, and shiny green leaves (which have thickened margins and glands on the margins and abaxially). This is a fire tolerant plant that thrives in areas that frequently burn. The glands underneath the leaves actually help fires spread in the plant's habitat. 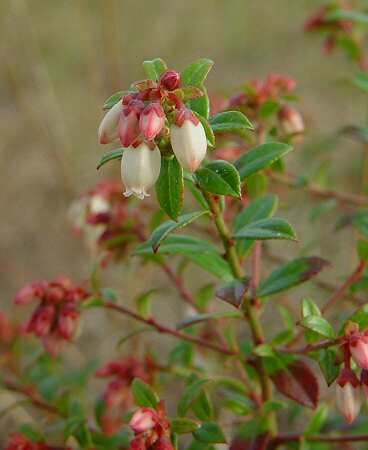 The genus name Vaccinium is the ancient name for Bliberry (V. myrtillus L.) which is native to Europe. 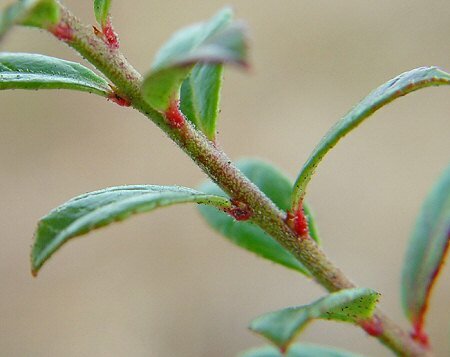 The species epithet derives from the Greek "myrsin" meaning "the myrtle" and "ites" meaning "belonging to" or "having to do with" possibly referring to the plants association with myrtles and myrsines in the wild (?). Photographs taken in Vero Beach, FL., 2-14-03.